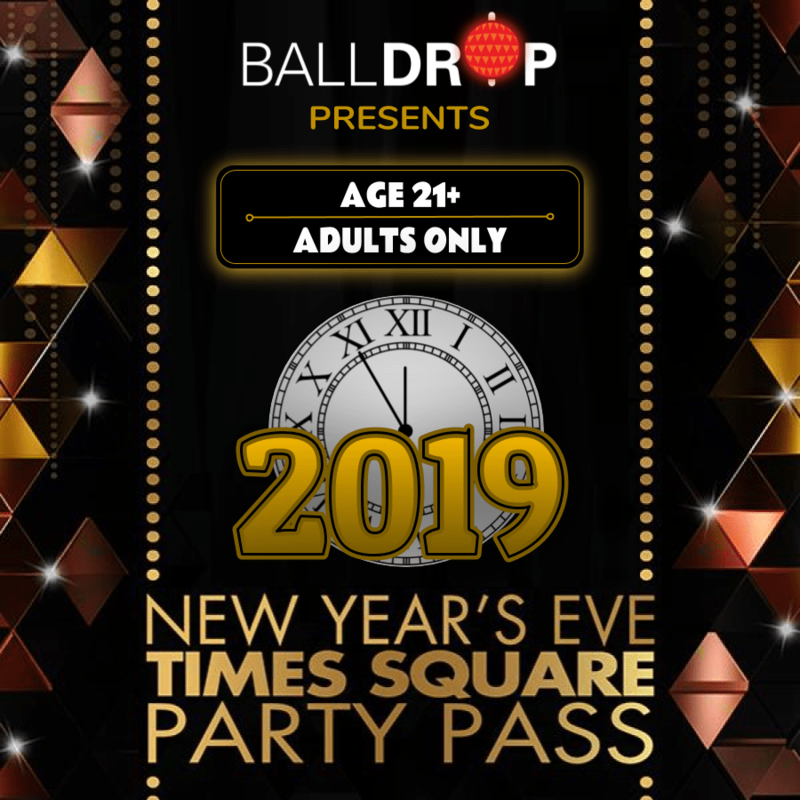 Treat yourself to a one of a kind New Year's Eve experience and take advantage of the annual Official Times Square Party Pass! Here's your once in a lifetime opportunity to party hop like a true VIP to some of the most sought after, adrenaline and fist-pumping hot spots, cocktail lounges and entertainment centers in Times Square! To give a little NYE history lesson, 1904 marked the first New Year’s Eve celebration in Times Square saluting the opening of the New York Times headquarters located at One Times Square. Over a century later, be part of the continuing history. Times Square is the epicenter of the largest, most highly anticipated New Year's Eve celebration on the planet! Words can barely describe the bright lights, big city energy from thousands of revelers at what is considered by most to be the largest outdoor event on earth as the Waterford crystal ball drops to welcome a new year. Absolutely unforgettable and truly magical! The Times Square Party Pass gives you the opportunity to step out of the cold into some of the hottest parties in the Times Square area. Enjoy full throttle night clubs, cool and sophisticated lounges, and mega-watt entertainment centers! With this party ticket, you can do it all until you say STOP! Seasoned Manhattanites and guests from around the world will rock, revel and party the night away 'til the wee hours. Come with friends and after a night of Times Square adventures, you'll surely make new ones! If it seems like a lot to take in, it is! But don't stress! We'll provide you with helpful tips and timelines to make the most of your night out in Time Square! The countdown is on...so take advantage of the Times Square Party Pass while it's still available! You'll have all of next year to rest up! General Admission tickets to multiple event venues in and around Times Square. Feel free to party hop all night long - Go to one or go to all! The choice is yours. Live performances by super hot DJs spinning hip hop, house, rock, Top 40's and 80's within the venues.